Our regular contributor, Robert Mishou, is starting a new Return to the ’80s series. It will focus on solo stars who didn’t start as solo stars. There have been several groups who have had members embark on a solo career. They may have done this as a side project, or split from their band due to creative or personality differences. 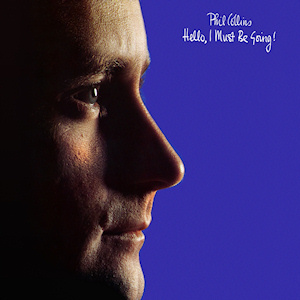 Robert begins the series with one of the best artists of the ’80s – Phil Collins. As usual, you can click on the song titles to listen to the songs/watch the videos. Hello, I must be going. But, I’ll hand it off to Robert now. Enjoy! In 1985 Phil Collins released his third solo album No Jacket Required. For most fans of ‘80s music, this album would become the marker that completely separated Collins from his band Genesis. True, Genesis would release the excellent Invisible Touch in 1986 and We Can’t Dance in 1991, but these album only solidified Collins’ place as a mega solo star of the 1980s. Phil Collins was a member of Genesis for eleven years before traveling solo. He served as the band’s drummer and, in 1975, upon Peter Gabriel’s exit, the lead vocalist. Genesis was a very successful musical act selling out stadiums and posting solid album sales. Once Collins became the vocalist, Genesis started to make appearances on the Billboard singles charts. Songs like That’s All, Misunderstanding, and No Reply at All are all Genesis hits that feature Collins on lead vocals and maintain frequent airplay on classic rock stations today. As a band, Genesis was extremely successful, but this success pales in comparison to the heights Collins will hit as a solo artist. platinum Hello, I Must Be Going. This album features his first top ten single in the US, a cover of the Supremes’ You Can’t Hurry Love. During these few years of solo work, Collins did not leave his band. In 1981 Genesis released Abacab and in 1983 the album Genesis was released. This second solo album also received a good critical response and outsold his first album – clearly the best is yet to come. In the midst of his burgeoning solo career and his continued work with Genesis, Phil Collins also achieved US chart success with a soundtrack and a duet. In 1984 Collins released Against All Odds, a song from the film of the same name – this song will become his first solo #1 hit. Collins also recorded a duet with Philip Bailey (from Earth Wind and Fire) called Easy Lover; this song would reach #2 on the Billboard singles chart. The table is set. The explosion is about to happen. 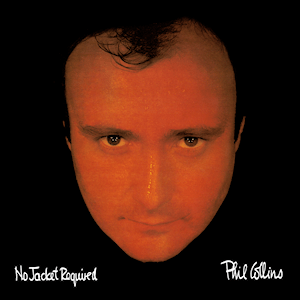 I do not intend to rush or minimize Collins’ work with Genesis or his first two solo albums, but the highlight of Phil Collins’s mark on the ‘80s is his third solo album No Jacket Required. Billboard lists this album as 12X platinum with sales reaching over the 12 million mark. 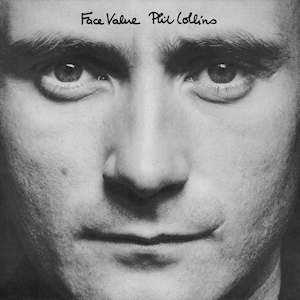 This album marked a climatic acceptance of Collins’ music with the American audience and spawned four top ten hits: One More Night (#1), Sussudio (#1), Don’t Lose My Number (#4), and Take Me Home (#7). This album received Grammy awards for Album of the Year and Best Pop Vocal (male) of the year. A few months after the release, Collins became the only artist to perform for Live Aid in both London and Philadelphia. The numbers are clear. No Jacket Required is not the first solo album, nor is it his last solo effort, but it clearly the biggest, most important release – one that solidifies Phil Collins as an icon of ‘80s music. That is plenty of background information- let’s get to the songs that make up this amazing album. No, there are no startling insights here. I have no idea what ‘sussudio’ exactly means and, honestly, I don’t care – a great song is a great song no matter the title. I am a lyric fiend and I spend a lot of time interpreting songs, and this one is not that tough. If you accept that ‘Sussudio’ is a girl’s name, then this becomes a catchy song about chasing a girl- we’ve all been there. I will fully concede that I prefer songs that have more depth to the lyrics, but this song is irresistibly catchy – and I love it! This song has a perfect blend of bass, percussion, and horns – what a great way to begin an album. Start with a little drum and some horns to remind the listener that this is Phil Collins – and you have a great second track. Collins steps up his lyric game a bit here with some of his tongue in cheek, witty style: “When I ask you what you see in me / You say our love is blind.” He also adds a touch of his serious side with, “Remember, it’s not good enough telling me the way it was yesterday.” This is a solid track that fits the style and feel of the album. This is fantastic, somber song that features Sting on backing vocals. The lyrics capture our tendency to be overly concerned with ourselves and ignore more important situations that we could help with. Collins’ appearance on both London’s and Philadelphia’s Live Aid Stages is a prime example of his effort to help others. The video of this song is his Live Aid performance. It is not a bad idea to follow a slow, serious song with one that is upbeat. Even though this song seems to be one that revisits Collins’ relationship problems, it is seems to have a sense of hope about it. The speaker in the song has found that he can move on without the girl; he is not going to give in to her emotional manipulation. If I was forced to choose – this would be my favorite song from the album. The song is a perfect pop song that has almost no room to be improved upon. It is a simple story, has a killer beat/bass track, and keyboards that sustain a catchy melody. It also has a chorus that is familiar (and performed?) by all music fans in the‘80s. The video captures the frustrations of making videos with Collins’s wry sense of humor. This is a solid song that I always felt could have been a single. I am going to let me geeky English teacher side out here – I love the change in pronoun for the last chorus. The pronoun shifts from “I” to “you”- this gives it a subtle change in meaning. The video is a live version of this song – some songs need to be heard live and I think this is one of them. Early in my constant listenings of this album, this song was one of my favorites. Collins does not have many guitar driven songs, so when one pops up, I am hooked. In this song, Collins is making his Thoreau-like declaration of following his own instincts and doing what is best for him. No, no, I am not comparing this song to Walden, but it is a powerful statement about him taking control over his own life. Great song and a great video. Collins establishes a clear rhythm right away with his drums- smooth and even throughout the song. The video features Phil himself being filmed in front of some of the most famous locales around the world. I can only imagine the total number of miles covered in producing this video. In addition to this album, Collins also released a duet with Marilyn Martin called Separate Lives another #1 hit. In 1986, after the success of No Jacket Required, Collins somehow found time to return to Genesis and release Invisible Touch (an album that deserves its own review- great idea! I think I will). Invisible Touch quickly became Genesis’s best selling album, bolstered, no doubt, by the success of Collins’s solo effort. For the duration of the ‘80s and ‘90s, Phil Collins will continue to make music both as a solo artist and as a member of Genesis. There are plenty of worthwhile songs that Collins records after No Jacket Required, but this album represents the power and brilliance of this iconic musician. He even released an album for the Tarzan soundtrack that will open up a new generation of fans. There is no doubt that Phil Collins left a very important mark on the 1980s – a mark that can never be washed away. Great article my brother, but in my defense, I didn’t realize until 20 years later that I can’t hear lyrics in songs. This is probably the reason I am not as big of a fan of music as you and Marv. 🙂 Over the years I have had to tailor my listening music to artists that for some reason I can understand the words that are saying. Now it should be noted that I can hear the individual words of these artists, but I still have a hard time knowing what the song as a whole is regarding. Love you Robert and great job!! Great post. Looking forward to more solo stars.